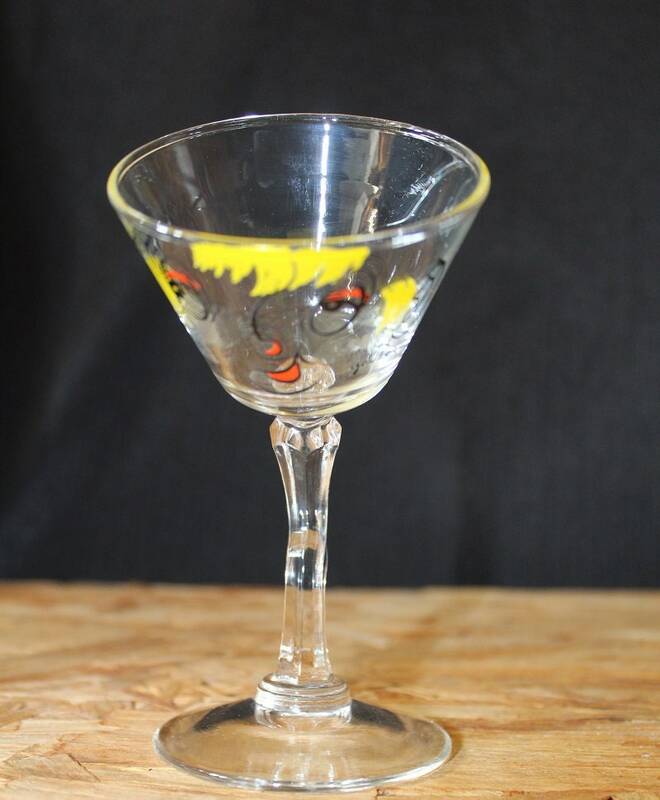 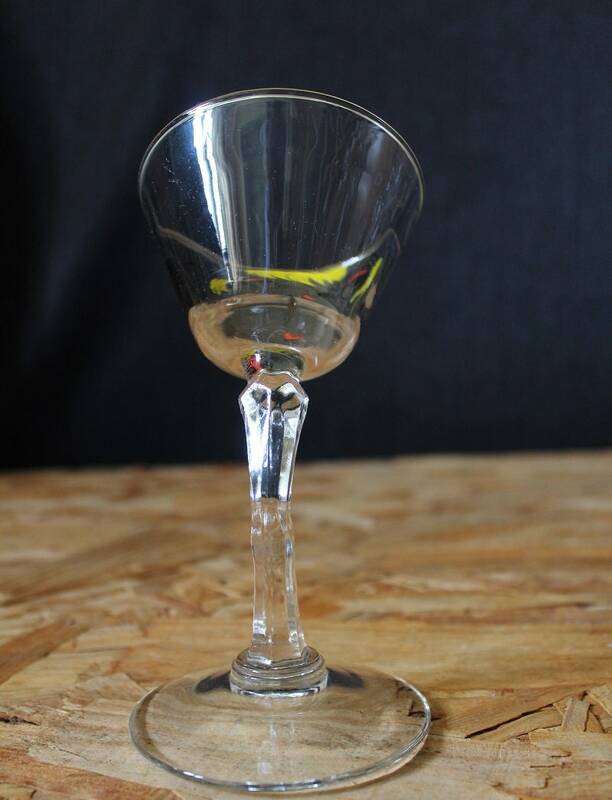 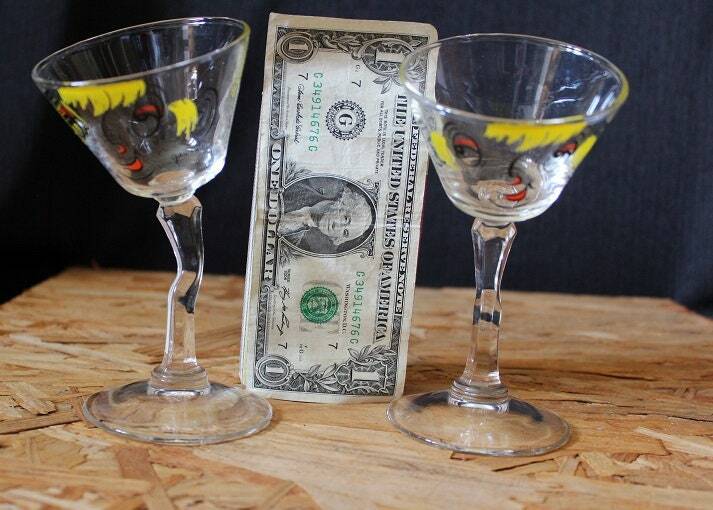 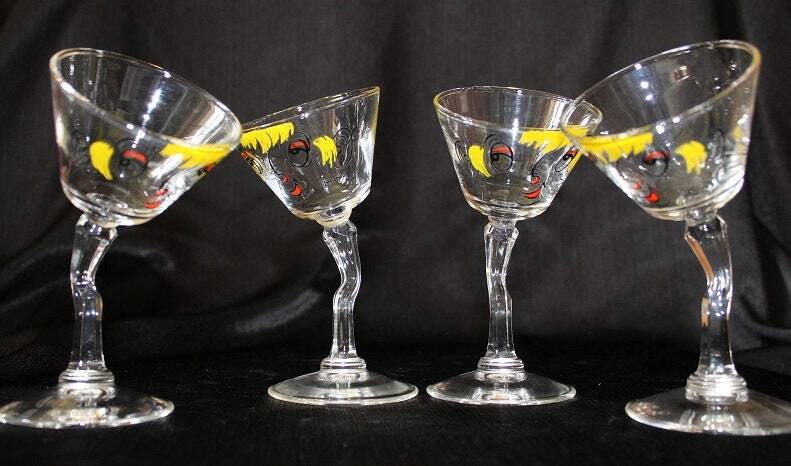 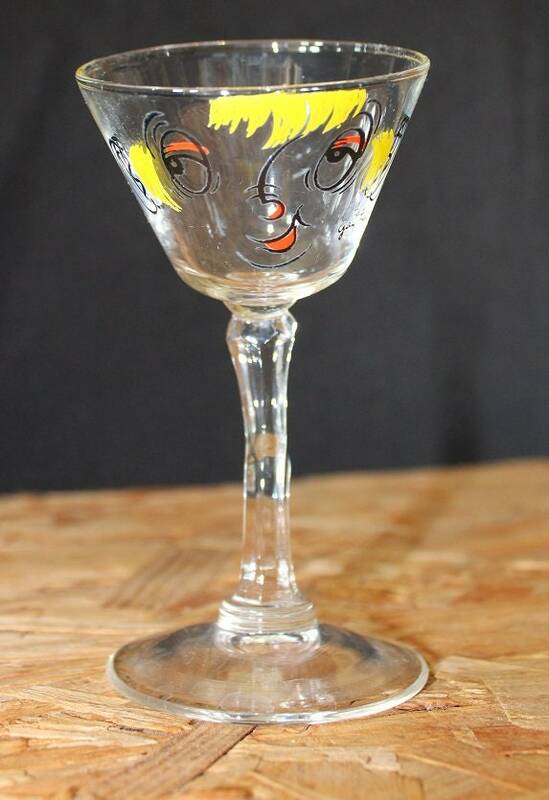 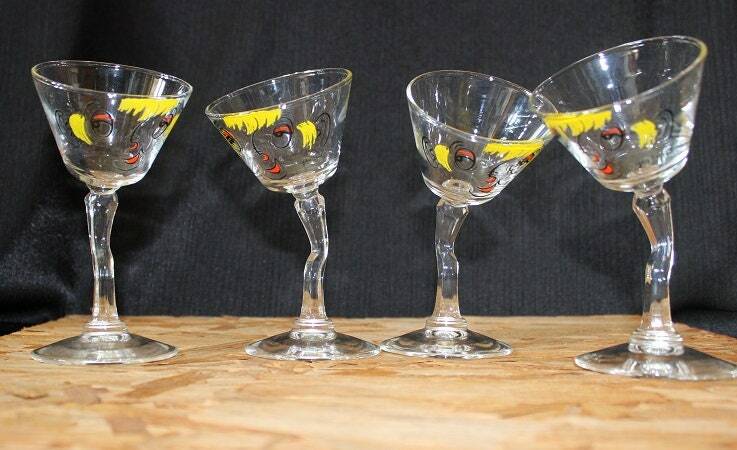 From Gay Fad Studios, this set of four tipsy martini glasses feature the face of "Beau Brummel" hand painted in red, yellow and black on one side of the clear glass bowl. 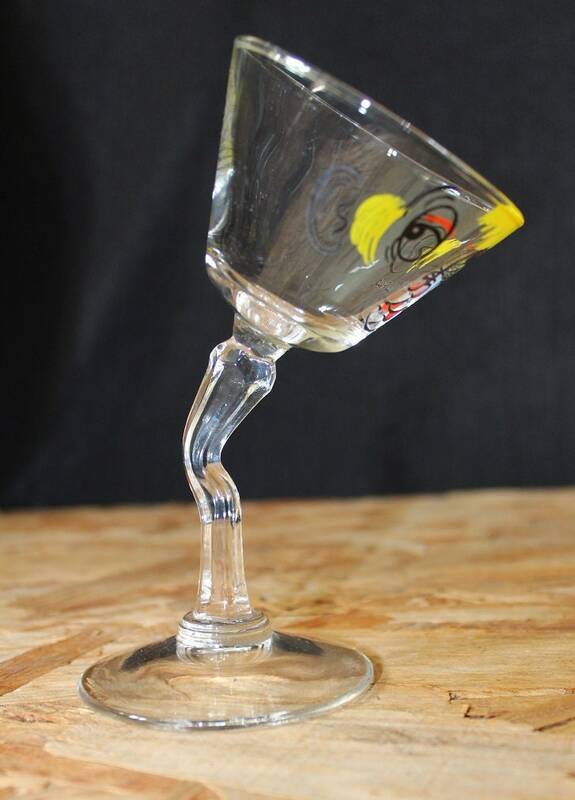 The bent stem and base are clear. 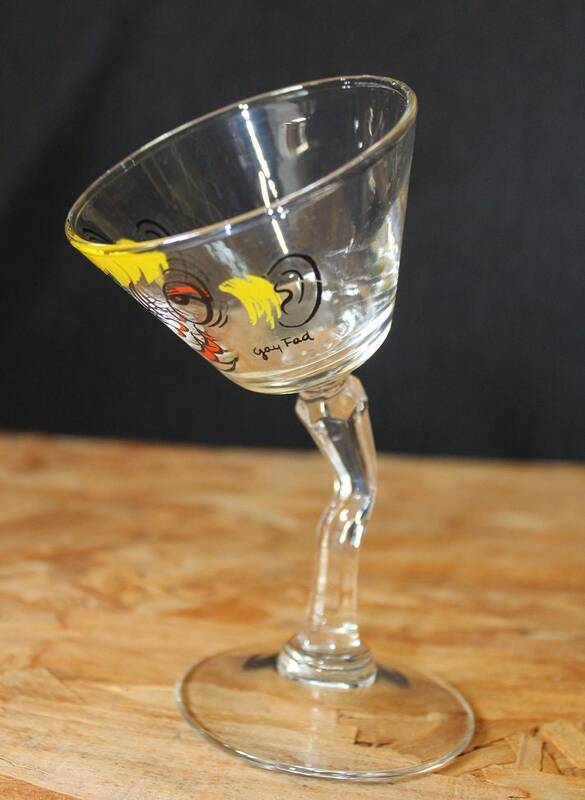 These glasses are signed Gay Fad. 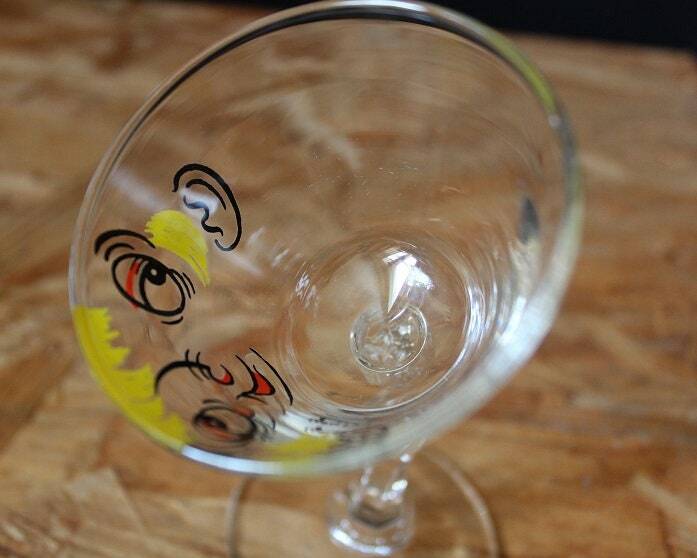 These glasses will need to be hand washed.